← Why Do You Need The Book? The mother’s faith, encouragement and hard work eventually paid off. Maybe you will recognize the boy’s name. Enrico Caruso, Italian operatic tenor, became one of the world’s greatest performers in the early 20th century. 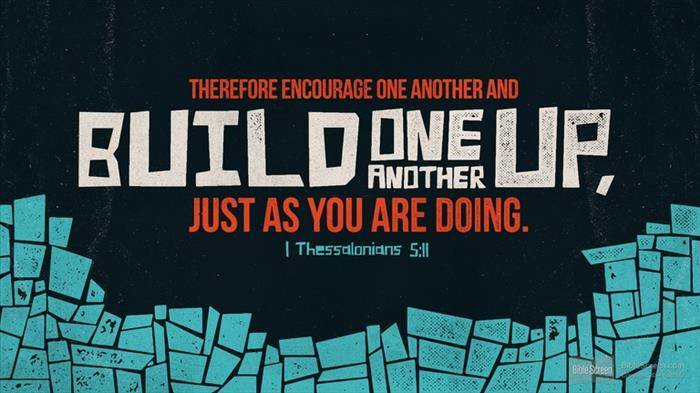 Caruso’s story reminds me of a simple, but great Bible verse in 1 Thessalonians 5:11 where Paul exhorted, “Encourage one another and build each other up, just as in fact you are doing” (1 Thess. 5:11). I love Dr. Jeremiah’s illustration of encouragement when he compared it to car that wouldn’t start because of its weakened battery. But then someone comes to the aid of the disabled motorist with jumper cables. “The strength of the operative car is transferred into the weak battery, and the inoperative car is rejuvenated into action” That’s the power of encouragement! Find a way that works for you to encourage others. Maybe it is by just “being there” when someone is going through a tough time. Use cards, notes, emails, texts, even facebook to encourage others. Look for the right time to say a good word. A kind word. An uplifting word. Or it may be that arm around the shoulder of a discouraged, disconsolate friend. A touch of the hand. A warm embrace,. A pat on the back. A wink. A smile. A thumbs up! Who needs your encouragement today? A frazzled young mother? An elderly shut-in? A confused young person? A tireless teacher? A dedicated deacon? A new Christian? A faithful preacher? A devoted elder? The physically sick? The emotionally fragile? The spiritually weak? Find someone today to encourage. And guess what? You, too, will feel encouraged. Please send this out again if Clinton wins the election. We will all need it. Ken, your theme this day is my primary calling. Thanks for a great piece. I posted to FB and Twitter. Blessings!